The London-born actor would go on to warm hearts as student revolutionary Marius in the 2012 film version of “Les Miserables,” impressively singing poignant ballads such as “Empty Chairs at Empty Tables” live while weeping at the same time. 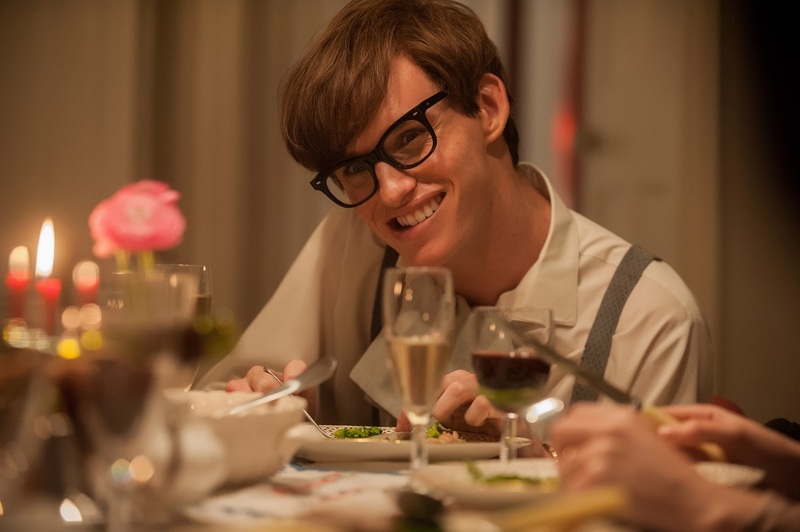 Now Redmayne, 32, is currently on the short list of likely candidates for a best-actor Academy Award nomination with his portrayal of astrophysicist Stephen Hawking in “The Theory of Everything,” opening Friday. 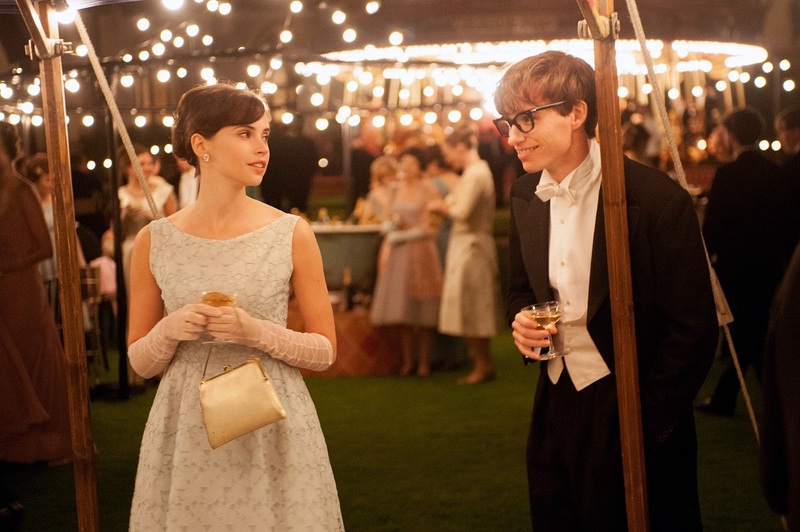 But what elevates “The Theory of Everything” beyond the usual great-man biopics is that it’s actually a fascinating though bittersweet love story that starts off as a fairy-tale romance complete with fireworks between Hawking and his pert pit bull of a wife, Jane (Felicity Jones, who is earning her own share of kudos). The fellow Cambridge grad selflessly dedicated herself to tending to the needs of her husband, including maintaining a stable family life for him and their three children, until they went their separate ways in 1995. 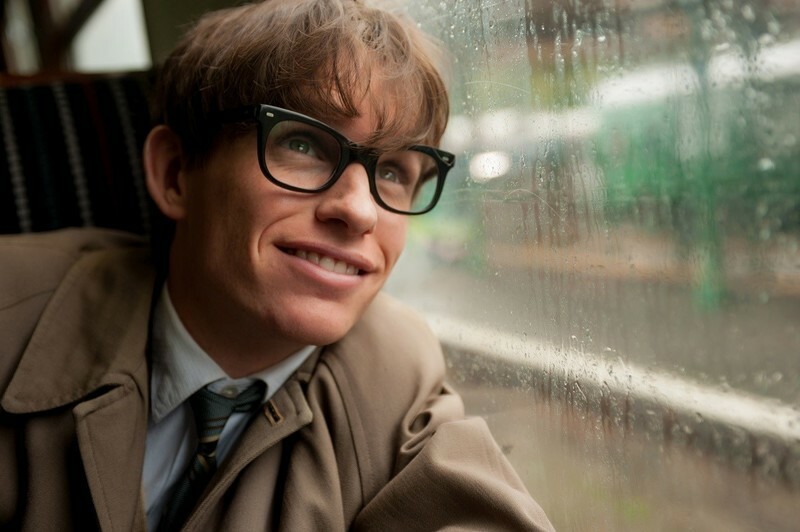 If there is one lasting image to take away from this moving account of one of the greatest minds of our time, it’s the image of Redmayne’s shy, boyish and often mischievous grin as it spreads across his expressive face. The actor spoke at the Toronto International Film Festival earlier this fall, where the film had a rapturous world premiere. 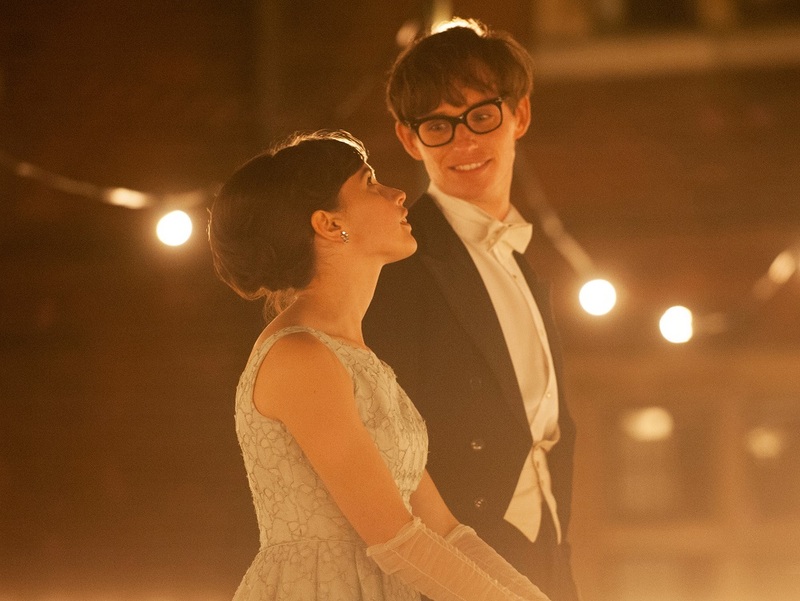 The audience there was told that as the lights came up after a screening attended by Hawking, a nurse wiped away a tear from his cheek. You can’t get a better endorsement than that. You graduated from Cambridge yourself. Are you good at science? Absolutely not. I studied the history of art. I gave up science when I was about 12. One of the more hard-core feats for me with this film was trying to bend my head around the meaning of black holes and Hawking radiation and all these sorts of things. The movie handled the science well. Visually, it took us into your mind and how he thinks. It’s interesting, that, because what is sort of complicated and brilliant about the science world is that there is a fluidity to it and there are these huge dialogues that happen internationally, from one scientist in China to another somewhere else. Things are discovered or are proven and then disproven. And it’s a constantly nebulous thing. That was interesting. There is very little that is concrete. I am assuming Hawking is your favorite scientist. But who’s your favorite painter? A guy named Yves Klein. He was French. He was obsessed with this particular blue. When pigment dries, it loses its vibrancy. He basically created this color that was so vibrant, it didn’t lose its blue. And he copyrighted it as International Klein Blue. You should see Mike Leigh’s “Mr. Turner” with Timothy Spall, which is also part of the festival. I heard it is exceptional. I saw him and Tim yesterday. I cannot wait to see it. Even from the trailer. Everything looks amazing. I am sure you are going to be sick of being asked about how you managed to capture Hawking physically. But you had to do a lot of preparation for this, including six months researching his life and watching interview footage. What was the most difficult part of it? Probably the most difficult part was not being able to shoot chronologically. So what was really important to me is that, when you meet Stephen, you see that the illness, as far as he is concerned, is such a small part of it. He has no interest in it. He sort of refused to go and see doctors ever since he was diagnosed. He only goes when he absolutely has to. He is someone who looks forward. So, for me, it was really important that all the physical work I did was done some months in advance. Meeting people who were suffering from ALS and specialists, and working out what that decline was so it would be authentic to this brutal illness. And, at the same time, do all that so when it came to actually playing with Felicity, this isn’t a story about that. It is a story about an unconventional love story. In order for that to be real, I felt I had to do all that work so it was embedded. It does feel very natural. I just saw you simply be that person, not become that person. For a movie about someone who probably isn’t all that comfortable a lot of the time, you are always smiling. You must have practiced in front of the mirror a lot. I was lucky enough to meet Stephen five days before filming. There were very specific things he told me. But the overall thing that I gleaned from that meeting is that he just emanates humor and wit. And there is this glint in his eye. And his smile properly lights up the room. What was interesting is that as the muscles stop working, they don’t necessarily just go. They actually stop in a place that is rigid. Even though, in theory, muscles had stopped working. For me, they were working at double the rate because you are using muscles you have never used before. It’s funny what you say about the mirror, there was a lot of sticking my face and sitting in front of the mirror with his documentary footage, trying to re-create this thing. Jan Sewell, the makeup designer, was hilarious. Because so much of it is on this side of his face (the right), I ended up with more lines and wrinkles and muscles there throughout the shoot. (laughing) No, they’re still there. You know what has happened with ALS now? Yes, the challenge. I am thrilled because part of this journey for me was meeting families of people affected by this disease. And it is properly brutal. And even though it’s been around for a long time, they are struggling with getting close to a cure or a cause. Not that many people have it and pharmaceutical companies don’t want to get that involved. So for me, that challenge to raise money—Stephen is a patron of the Motor Neuron Disease Association and I’ve worked with them a bit. They raised a lot of money, as has the ALS Association here. People ask, “What is ALS exactly?” I hope that the film helps really show how brutal it can be. It is very good timing, actually. When Stephen struggles through that croquet course, that must been a tough scene for you. I’ve known Felicity for years. We’ve never worked together but we are good friends and we trust each other a lot. I had this way of working with a director called Derek Martini. I did a film with him and Chloe Moretz called Hick. He had this way of working that, once it is on the close-up, he’d have the other actor mess with you in character from behind the camera. It was the second day of shooting, that croquet scene. Basically, Felicity is someone I trust so much that while I was playing that game of croquet, she was just shouting abuse at me. Trying to get me riled. How does this job compare to singing live and crying at the same time in "Les Miz"? Each one has its own challenges. It’s such luck to have varied parts and such different challenges. That one—well, at least on this press tour, no one has asked me to sing. 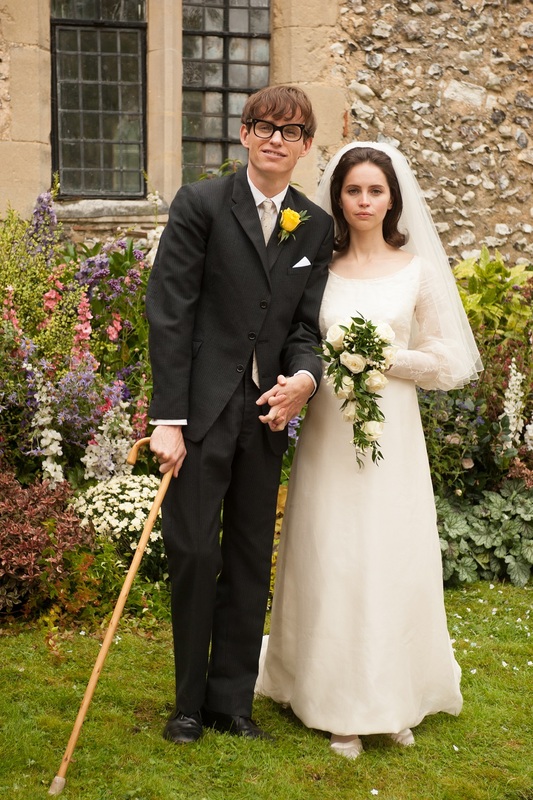 To be able to play a character like Stephen Hawking is probably the most acting you can do. That you were able to do it and do it so well must feel great. For a second, when I got the part, there was a moment of euphoria. And then it was suddenly the reality that you have to do it. And when you are playing people like Stephen and Jane, who are living and he is an icon, and they let you into their lives. And you spend a lot of time with them and their families. The stakes are pretty high. You don’t want to let them down. I can’t say I ever loved doing it, because you are riddled with fear. It makes us all work harder. But, by the end of it, the fact that they liked the film meant the world to me. What did Stephen say to you when you met him? By that time, he had become a bit of an idol to me. I just literally spewed forth information about him to him. The most embarrassing thing in the world. And it got so bad. I suffer from verbal diarrhea, as you can tell. And when there were these awkward silences, I just kept filling them. “Stephen, you were born on the eighth of January, which is Galileo’s birthday.” He makes a big thing about that. I said, “I was born on the sixth of January, so we are both Capricorns.” As soon as I said that, I thought, “What have I just said?” And he spent a few minutes typing out a sentence and, in his iconic voice, he said, “I’m an astronomer, not an astrologer.” I thought, oh my God, he thinks I think he writes horoscopes for a living. You went through a lot of Oscar hoops with “Les Miz.” From the buzz out there, you will have to go through that process again. Are you better prepared now? You know what? It is kind of what I said before. Because of the stakes of the film and the utter relief that the family really enjoyed it, it meant the world. And, more importantly, what I find is that it is a really inspiring story, an unknown story and one that I would absolutely love the world to see. I just want to do everything I can so that people go to see it. Is it true you are working with “Les Miz” director Tom Hooper again on what sounds like a very unusual project? It’s an utterly beautiful story called “The Danish Girl.” A true story about two artists in Copenhagen in the 1920s, who are deeply in love. He was born Einar Wegener. And he became one of the first transgender women after undergoing an operation. It is a formidable story of identity and love. I’ve been so privileged to be able to be a part of it. Next Article: CIFF 2014 Interview: Gabe Polsky on "Red Army" Previous Article: Video Interviews: Jake Gyllenhaal & Rene Russo on "Nightcrawler"